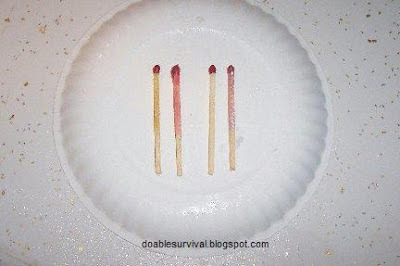 I wanted to share a few of the ways I tried to waterproof matches for camping/survival. I had four of each type done. 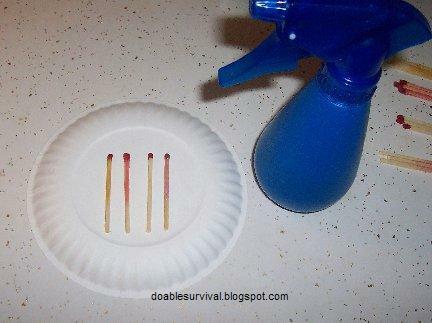 I took one of each, sprayed them with a mist of water, patted them dry, and lit them. I did that until I used up all of them, (so four different times). I was most impressed with the turpentine ones. but the rest, I set on the counter so they were actually lying in water. 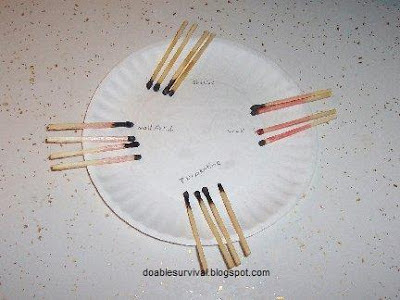 Soak the matches in turpentine for 5 minutes and then let dry. It is said to have a higher flash-point than the acetone in the nail polish ones. Brush the nail polish on and let dry. Dip them in melted wax and let them dry. The wax tends to flake off or crumble over time, specially if you are on the move, so I don't care for these ones. 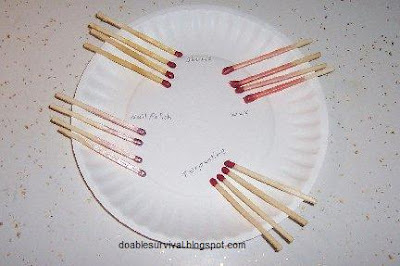 Dip the matches in the shellac, head down, and let dry. 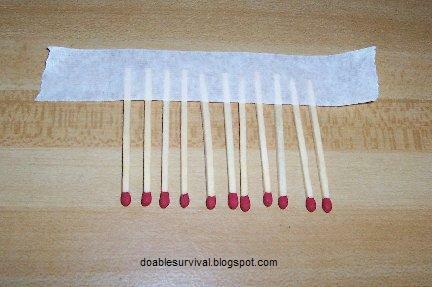 You can make a tape strip of matches for easy dipping. The shellac and wax ones did the worst. Most just fizzled on the end and that was it. The nail polish didn't do as well as I thought it would. 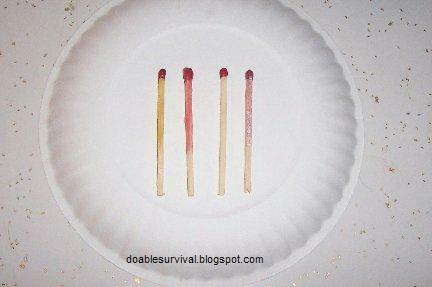 Two of the four burned just on the end and fizzled out. I was surprised by how well the turpentine ones did. They didn't even look like they had anything done to them, but turpentine was the clear winner of my test. All four lit and kept going. 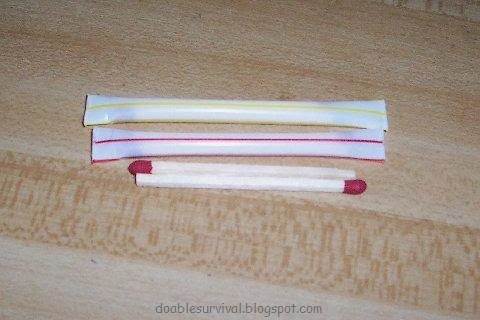 You can also seal matches in drinking straws. Just cut to the length you want, put the matches in (or whatever you want to seal), pinch the ends closed with plyers, and melt closed with a lighter.